From April 20th to 22nd, the MIT campus was open to future freshmen and their parents. Many student organisations set up booths, welcoming and introducing themselves to the new students. 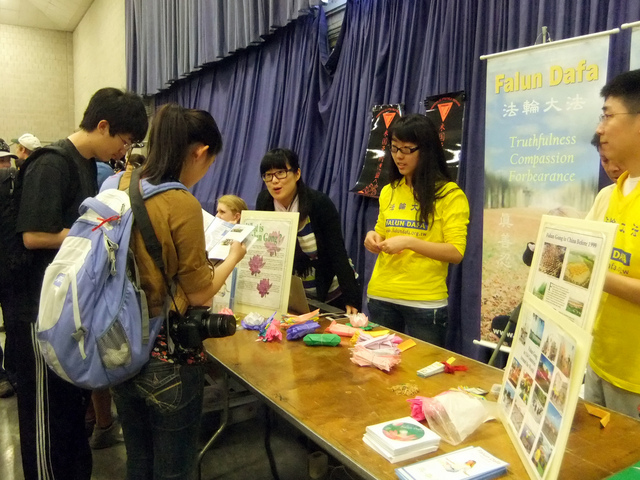 The Falun Dafa Club at MIT also participated in the event. On April 20th, practitioners held a group exercise activity in front of the student centre. Many students and parents watched it. A girl who will be a freshman in the mechanical engineering department learned the exercises and joined the group. She felt great afterwards and asked for more information about Falun Gong. On the 21st, practitioners set up a booth. More than 1000 people came to the event. Practitioners demonstrated the exercises on the stage and told the audience about the persecution in China. 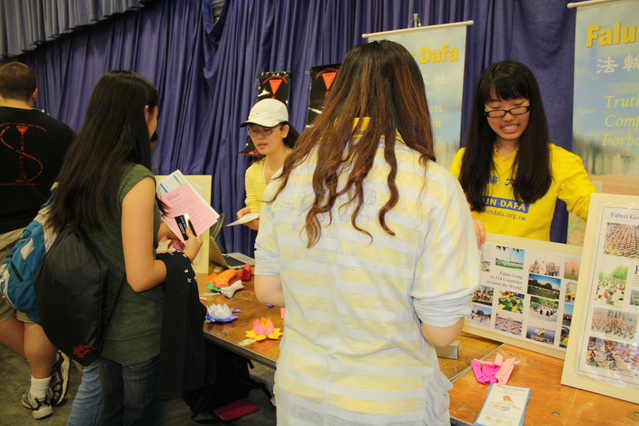 Many students left their contact information, expressing an interest in joining the Falun Dafa Club.